Bay Area Hip Hop artist UnLearn The World performs live with the world famous Jazz Mafia and DJ Saurus of Heavy Weight Crates to celebrate the launch of his official website, streaming platform, mobile phone app and over all lifestyle brand that includes, Music/Film Production, Media Content Management, Street Wear, Artist Consulting and so much more. 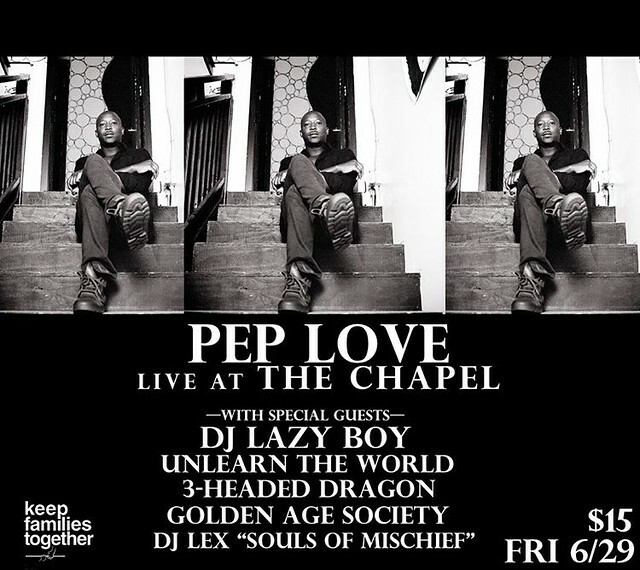 And additional live performances from some of the Bay Area’s dopest up and coming artists. 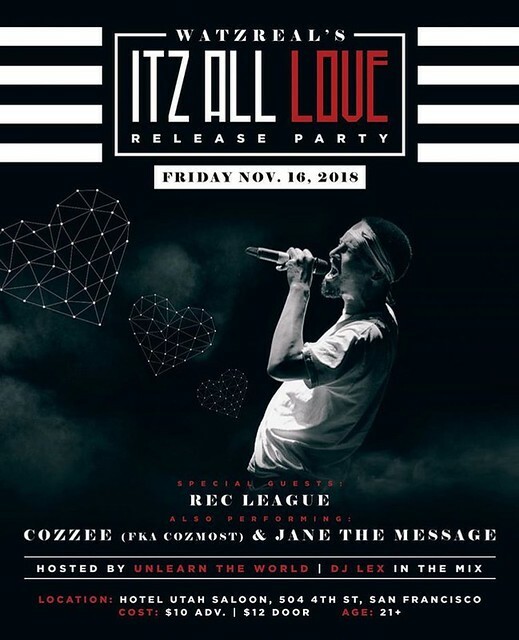 Watzreal’s ITZ ALL LOVE Release Party featuring Rec-League and more! 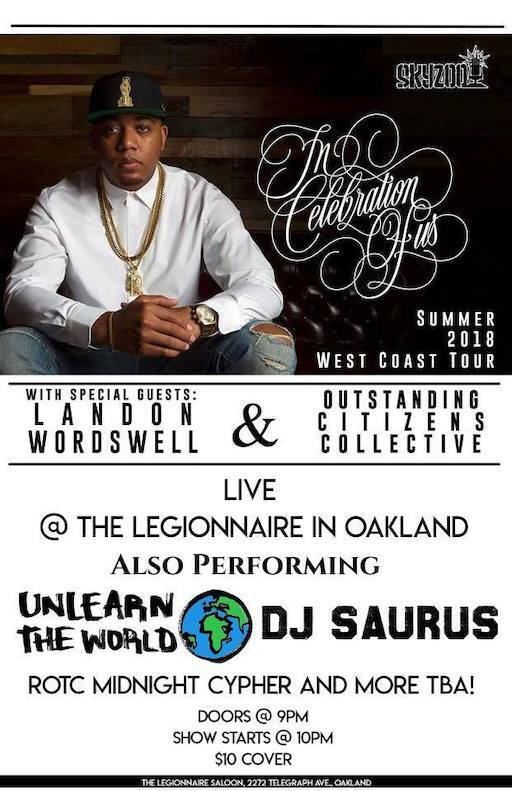 New York Based EmCee Skyzoo is coming to Oakland bringing his brand of raw but sophisticated Hip Hop to the Bay Area bringing along some local crowd favorites as part of the In Celebration Of Us Tour! 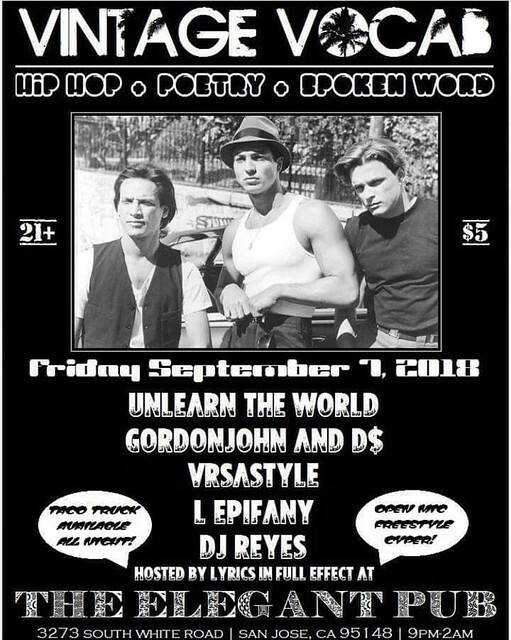 UnLearn The World Live at Uptown Nightclub in Oakland! 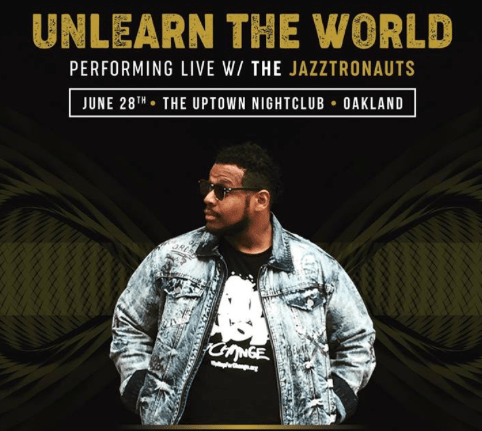 UnLearn The World, one of the best, multifaceted, energetic and active EmCees in the Bay Area will be headlining a powerful Hip Hop show, premiering new music and stunning visuals along with the live band The Jazztronauts. Plus you’ll see appearances from some amazing vocalists, Marlee Shore, Nanci Perals, and more! Can’t forget Deejay Saurus in the mix! 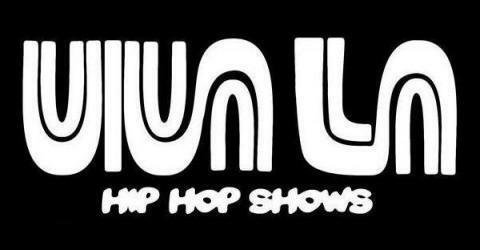 There will be an early screening of UnLearn’s documentary “The UnLearn Experience”, plus live performance visuals!